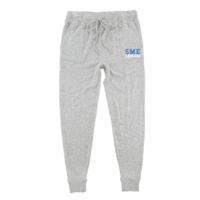 Cotton blend open leg/bottom sweatpants with pockets and an elastic/drawstring waistband. 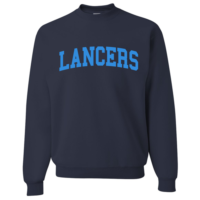 LANCERS vertically on the left thigh. Unisex sizing. 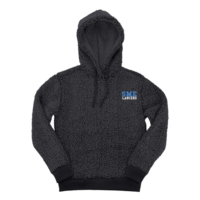 Available in Athletic Gray (light gray), Black, Graphite Heather Gray (dark gray), and Navy. The adult sizes run a whole size “long”. We recommend ordering one size smaller than the size desired.